From the outside, the prosecution's case looked bulletproof, but Marcia Clark knew better. Mountains of physical evidence connected O. J. Simpson to the murders of Nicole Brown and Ronald Goldman, but that didn't mean it would be easy. For the woman charged with prosecuting the "Trial of the Century", the light of fame would glow white hot, as the media scrutinized her strategy, her family, even her hair. As the case spun out of control, Marcia Clark stood tall. What went wrong in the O.J. Simpson double-murder trial? Former prosecutor Vincent Bugliosi dares to lay bare the bungling he perceived in the case. 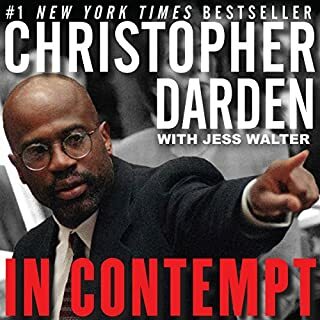 Incriminating evidence was never presented and lapses in strategy left prosecutors Marcia Clark and Christopher Darden at a disadvantage. These are just a few of the fatal errors that led to a victory for the defense. The shocking tale told in How I Helped O. J. Get Away with Murder is unlike anything you've read before. 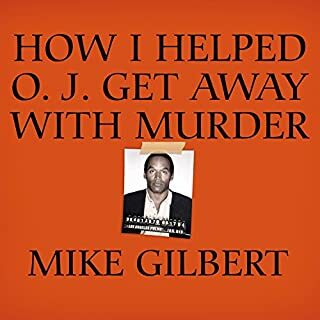 It isn't Mike Gilbert's "version" of what happened'; it's the unvarnished truth - the truth about O. J., the murders, and the infamous trial, not as Gilbert imagined or would like it to be, but how it actually was. In 1994, Ron Goldman and Nicole Brown Simpson were brutally murdered at her home in Brentwood, California. O. J. Simpson was tried for the crime, but was ultimately found not guilty of criminal charges. The victims' families brought civil cases against Simpson, in which he was found liable for willfully and wrongfully causing the deaths of Ron and Nicole by committing battery with malice and oppression. 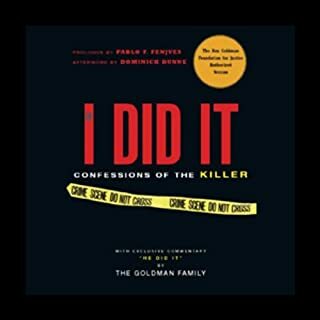 The Goldman family views this book as Simpson's confession. 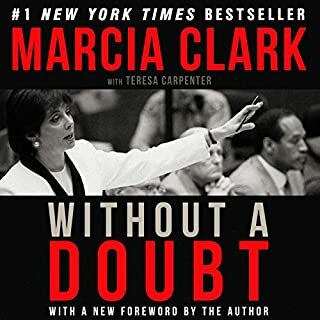 This number-one New York Times best seller is an unflinching look at what the television cameras could not show: behind-the-scenes meetings, the deteriorating relationships between the defense and prosecution teams, the taunting, baiting, and pushing matches between Darden and Simpson, the intimate relationship between Darden and Marcia Clark, and the candid factors behind Darden's controversial decision for Simpson to try on the infamous glove, and much more. The definitive account of the O. J. Simpson trial, The Run of His Life is a prodigious feat of reporting that could have been written only by the foremost legal journalist of our time. 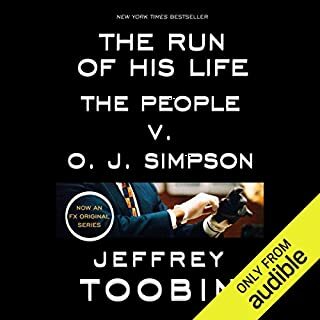 First published less than a year after the infamous verdict, Jeffrey Toobin's nonfiction masterpiece tells the whole story, from the murders of Nicole Brown Simpson and Ronald Goldman to the ruthless gamesmanship behind the scenes of "the trial of the century". It was the trial that stunned America, the verdict that shocked us all. On July 5, 2011, nearly three years after her initial arrest, Casey Anthony walked away, virtually scot-free, from one of the most sensational murder trials of all time. She'd been accused of killing her daughter, Caylee, but the trial only left behind more questions: Was she actually innocent? What really happened to Caylee? Was this what justice really looked like? During the trial of O. J. Simpson, the press focused on him. Now the victim, Nicole Brown Simpson, speaks through this private diary of her occasional roommate and constant best friend, Faye D. Resnick. Referred to by the media as the "mystery woman" who disappeared before the trial, Faye spoke to Nicole only one hour before her death. In a book that's certain to make headlines, the only person to prosecute O.J. Simpson successfully for double homicide reveals the gripping, behind-the-scenes story of how he prepared for, and won, the civil trial, why the prosecution team in the criminal trial failed, and what actually happened that night in Brentwood. Perhaps the most compelling murder case of our day, the death of six-year-old JonBenet Ramsey galvanized the nation - and years after it occurred, the mystery still endures. Who killed the young beauty queen and why? Who is covering up for whom, and who is simply lying? In JonBenet, the most authoritative and comprehensive study of the Ramsey murder, a former lead Boulder Police detective, Steve Thomas, explores the case in vivid and fascinating detail. Long before his arrest for the murder of 15-year-old Martha Moxley in 1975, journalists, neighbors, and relatives had plenty of reason to suspect Michael Skakel, a nephew of Ethel Kennedy. Murder in Greenwich is just one of the books that investigated this high-profile case. Juan Martinez, the fiery prosecutor who convicted notorious murderess Jodi Arias for the disturbing killing of Travis Alexander, speaks for the first time about the shocking investigation and sensational trial that captivated the nation. Through two trials, America watched with bated breath as Juan Martinez fought relentlessly to convict Jodi Arias of murder one for viciously stabbing her ex-boyfriend, Travis Alexander, to death. Here, for the first time, is the intimate untold story of O.J. and Nicole Brown Simpson's tragic, tumultuous marriage. Author Sheila Weller was granted unprecedented cooperation by Nicole's family and exclusive access to friends who reveal private information. Raging Heart is filled with gripping revelations and shocking scenes from the lives of the dangerously romantic couple. Fatal Vision is the electrifying true story of Dr. Jeffrey MacDonald, the handsome, Princeton-educated physician convicted of savagely slaying his young pregnant wife and two small children, murders he vehemently denies committing. Best-selling author Joe McGinniss chronicles every aspect of this horrifying and intricate crime and probes the life and psyche of the magnetic, all-American Jeffrey MacDonald, a golden boy who seemed destined to have it all. Well Written & Great Details! Now an insider at The People vs. O. J. Simpson reveals the untold story of the most widely followed trial in American history and the indelible impact it has had on the judiciary, the media, and the public. As the Los Angeles Superior Court's media liaison, Jerrianne Hayslett had unprecedented access to the trial - and met with Judge Lance Ito daily - as she attempted, sometimes unsuccessfully, to mediate between the court and members of the media and to balance their interests. Very informative, a good listen for sure. On July 20, 2012 in Aurora, Colorado, a man in dark body armor and a gas mask entered a midnight premiere of The Dark Knight Rises with a tactical shotgun, a high-capacity assault rifle, and a sidearm. Soon twelve were dead and fifty-eight were wounded. A Dark Night in Aurora uses the twenty-three hours of unredacted interview transcripts never seen by the public and Reid’s research to bring the listener inside the mind of a mass murderer. The result is chilling, gripping study of abnormal psychology and how a lovely boy named Jimmy became a killer. For O.J. Simpson to get away with murder, an innocent cop, a brilliant detective, had to be destroyed. That was the cynical strategy of the Simpson defense. But as certainty about Simpson's guilt grew, so did the outrage about the scapegoating of Mark Fuhrman. Now the former LAPD detective tells his side of the story in a damning expose. Fuhrman takes the listener on a detective's journey through the crucial first 24 hours of the investigation. We uncover not only the bloody glove but also explosive new evidence recorded by Fuhrman and his partner at the scene but astonishingly never presented at the trial. New revelations about the incompetence and corruption that pervaded the "Trial of the Century" will set the record straight. I've read a number of books on the O.J. murders. None of them presented the overwhelming evidence for conviction in such a rapid, clear, organized, concise manner. If you ever had a second thought about the Juice's guilt, read this account of the irrefutable facts. A passage in the book proclaims (paraphrased,) "The only person convicted of anything from these murders was the police investigator." The book uses the courtroom facts to show how political correctness and a jury's unwillingness to acknowledge the law and follow court instructions denied one family justice, and another their future. To the reviewers who felt there was too much whinning in the book - this mans life was ruined because he did no more than his job. He has a right to a little venting, but didn't let it get in the way of a clear recitation of the facts and of his conclusions from those. I totally agree with his conclusions based on the facts presented in this book and in Mike Gilbert's book which I read first. Watching the trial, I bet a guy O.J. Was going to get off because of the prosecuters. Thebook did change my opinion of Furman for the better. Worth listening to. Gained new perspective. If you’re interested in the O.J. case, then I think you find this worth listening to. I did learn a few new things. And it was interesting to get Mark Furhman’s perspective about the way the police and the prosecution handled the case. I found it generally compelling. And it's very well read. I have always been sure O.J. was guilty and that Furman received a raw deal and now I'm positive. How any sane people could hear that evidence and not convict him, I don't know. I've worked as a court reporter for over 25 years in Dallas and I'm familiar with the criminal justice system, such as it is. LA should be ashamed of themselves. Interesting story and a very different perspective than what was depicted in the media. The production value is pretty poor as others have mentioned. Poor editing with words being cut off make it very distracting at times. I listen to audio books while working in Photoshop so it's a quiet atmosphere. I was interested in this book but the narration ruins it. I can hear the stops and starts amid the droning and changes in inflection that seem to happen for no reason. It got so annoying/distracting that I just gave up. I am a long time Audible listener and I've never purchased a book that was such an audio mess. It's true that Mark Fuhrman spends a fair amount of time pointing out the injustices to himself. If you were the author and in his position, chances are you'd use the sounding board much the same way. However, he also spends a great deal of time talking about the irrefutable evidence against Simpson and how not all of it, much of it critical, was used against him in court. 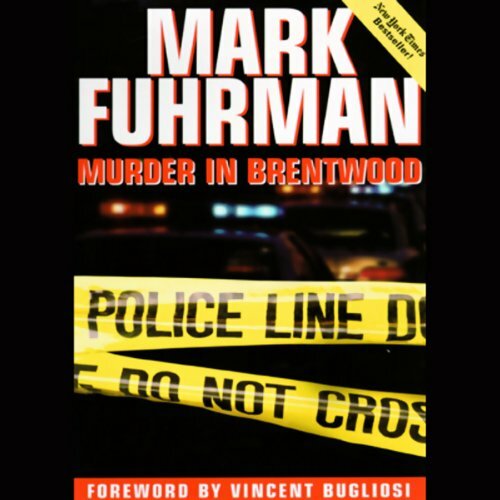 I found the book interesting, eye-opening, and it wildly changed my views on Mark Fuhrman. I highly recommend it. What did you love best about Murder in Brentwood? It brought a new perspective to me about how and why the trial was a complete failure. What was one of the most memorable moments of Murder in Brentwood? The step by step analysis of what took place the night of the murders. When Fuhrman goes through his analysis of the crime scene and puts together how he thought the crime unfolded. Very interesting and it all makes sense. If you could give Murder in Brentwood a new subtitle, what would it be? 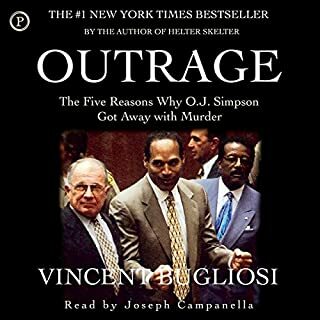 If you think OJ was innocent then this book is not for you because it is hard to argue with the facts. If you are curious about what happened the night of the murders then this is the book to read. If you remember being glued to the television, If you remember all of the tv drama. If you think you heard all of the evidence, even if you think you know what really happened, you have to listen to this audio. I have the utmost respect for our law enforcement officials and it is shameful how this gentleman who dedicated his career to protect and serve had been treated like the victim. OJ did indeed get away with murder.